SHOULD CGL INSURER HAVE DUTY TO DEFEND INSURED DURING CHAPTER 558 NOTICE OF CONSTRUCTION DEFECTS PROCESS??? 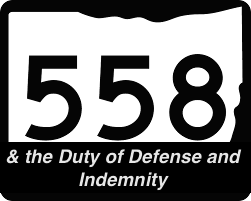 The 558 pre-suit notice of construction defects process is designed to facilitate an avenue for construction defect lawsuits to get resolved without having to file a lawsuit or, at least, have issues narrowed before a lawsuit needs to be filed. (Check here for a summary of the 558 process.) It requires pre-suit notifications so that implicated parties can become aware of the defects and have an opportunity to inspect the defects / damage, test the defects / damage, and respond to the notice of construction defects; it provides an avenue for beneficial pre-suit discovery. Through participating in the 558 process, the contractor and/or design professional (and those downstream from them) can: (i) offer to remedy the defect, (ii) settle the defect, whether through money or a combination of money and repairs, (iii) dispute the defect, or (iv) advise that available insurance proceeds will be determined by its liability insurer. See Fla. Stat. s. 558.004. There are definitely some pros and cons to the 558 pre-suit process. There is no doubt about this. But, if the insured-contractor’s insurer is not on board with the process, then it invariably will fail (unless the defects are relatively minor in nature). Why will it fail? Because 558 notice of construction defect letters can contain an extensive laundry list of defects–some minor, some major and complicated. This means that the insured-contractor really needs an expert or experts on board to truly analyze these issues from a liability and damages standpoint including the most cost effective approach to remedy the defects and corresponding damage. This, as you can imagine, is costly. The insured-contractor also wants to know that if a monetary settlement is made, the settlement includes insurance proceeds for damages covered by the CGL policy. All of this can really only effectively take place if the insurer defends the insured-contractor in this process to best assess its risk and any forthcoming lawsuit that should (hopefully) nevertheless trigger the insurer’s duty to defend its insured-contractor. Hence, there is no reason for the insurer not be engaged in the process and defend its insured-contractor, at least under a reservation of rights. Unfortunately, if the liability insurer disengages from the process and is not willing to defend its insured in the process, then the insured-contractor in many instances is best-off waiting for that lawsuit that will then (a) trigger the insurer’s duty to defend and (b) require the insurer to now incur the costs of the defense, including experts, to defend its insured. By the insurer not defending its insured-contractor earlier, such as the 558 process, all it is doing is inviting an expensive multi-party lawsuit and not educating itself of the nature of the defects and damage (i.e., its risk assessment) so that efforts can be made to resolve the defect claim, narrow the issues, or develop the framework of the defense. This entry was posted in Construction Defects and tagged 558 notice, 558 process, CGL insurer, Chapter 558, construction defects, duty to defend, Florida Statutes Chapter 558, notice of construction defects by David Adelstein. Bookmark the permalink.